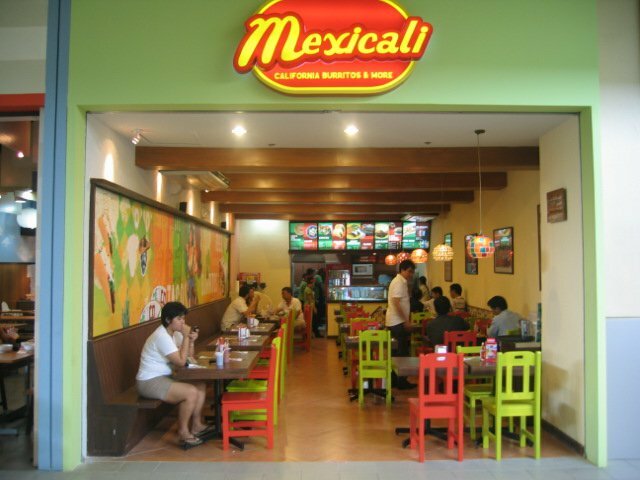 Before I start my rant, let me just make everything clear: I'm a Mexicali fan. When I was introduced to Mexicali six or so years ago, I loved the food so I introduced it to my friends in return. The SM San Lazaro branch was relatively new. I used to be at SM San Lazaro almost weekly but alas, the Mexicali branch opened after we transferred to a new residence so I only got to try that branch last Valentine's Day. As expected, there were tons of people at the mall. 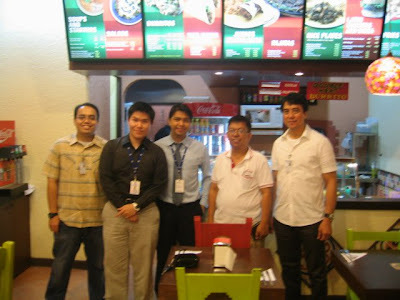 Since SM San Lazaro was small, practically all the restaurants were full. We considered ourselves very lucky to find seats at Mexicali. In terms of quality, the food was great. Really yummy and properly cooked. I had been served non-thoroughly heated enchilada once or twice in their SM North The Block branch (I just ate around the cold tortilla bottom) so I appreciated that the food at the SM San Lazaro branch did not suffer despite the high volume of customers that day. What made the dinner lousy was the long long long LONG waiting time for the food to arrive and the slightly clueless servers. We spent a longer time waiting than eating. Yes, there many customers but that was expected so they should have done something to accommodate that extra volume of orders. When we arrived, we were not yet very hungry so I ordered just a small burrito. By the time the food arrived, we were already starving. When bf's enchilada arrived, there were no utensils. Since the servers were busy, he just decided to go to the counter to ask for utensils. When my burrito arrived, there were no sauces, so I asked a male server. When the diners at the table next to us stood up to leave, the server got their white sauce and handed it to us and said he would be back for the hot sauce. I got pissed, because the plastic bottle had only around two squirts left. A senior staff (we were not sure if he was the manager) saw my sour face while I was holding the almost-empty sauce bottle. He rushed over and handed us a newly-filled one. The male server who said he would come back with my hot sauce did not come back so we asked the senior guy for the hot sauce. Since he seemed to be the only staff in the dining area to be reliable, we would wave to him if we needed something. I wish they could train the rest of the staff to be as cool under pressure and attentive as he was. After we were done, we were still hungry. We wanted to order a lot more food as well as takeout but we were worried that the food would take a long time again to arrive. We asked Helpful Guy and he confirmed that yes, the kitchen was still very busy and our food would again take a long time to cook, so we just paid our bill (Helpful Guy was very apologetic) and transferred to McDonald's to order more food. What's the point and all those picture-taking when you're complaining????? I didn't take the pictures. As stated in the captions, those were taken by the Mexicali team and posted on their FB page. You complained about the service yet you came in one of the busiest day of the year, cut 'em some slack, i've been frequenting this restaurant, particularly this branch, and the service is always excellent and the food is always the best tasting among other mexicali branches. I get your point Anonymous, but V-Day is not a surprise holiday. Establishments prepare for it months before. Mexicali should have also prepared for it. Anyway, I did note that the quality of the food was good and a senior staff was attentive. I just wish Mexicali (for even just one day) added more kitchen staff and cooking equipment. Waiting an hour for our food to arrive was not pleasant.